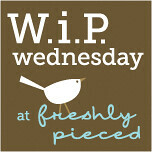 It has been a long time since I've posted on a WiP Wednesday but here I am with a little work to show. 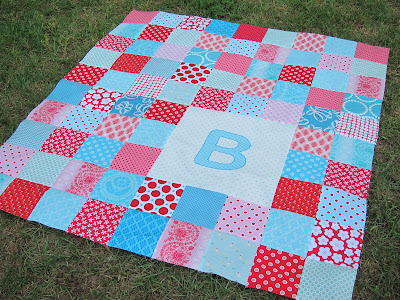 My cousin is VERY pregnant with twin girls and I am making these little quilts for her new babies. 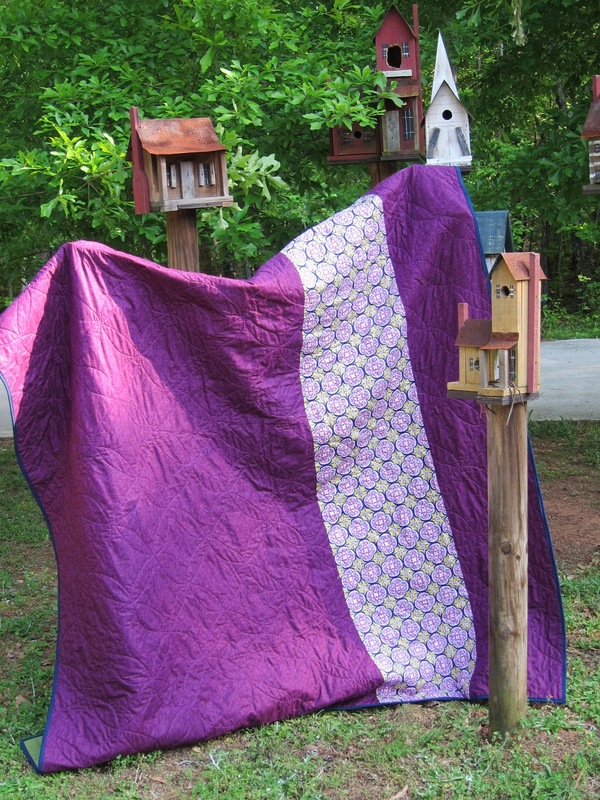 I had been searching for just the perfect pattern to use for quite a while. I wanted the two quilts to coordinate but not be exactly alike. 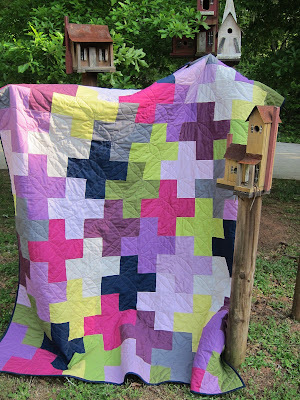 I couldn't get my mind settled on just one pattern until one day one of my favorite bloggers, Maureen, posted a simple little baby quilt she was making and then it "clicked" with me. 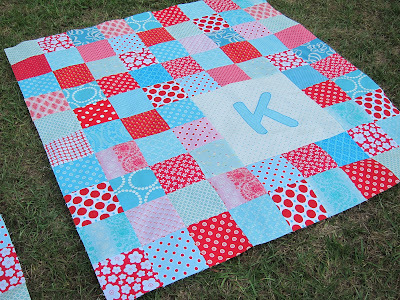 I decided to copy her simple little quilt and use a red/aqua/pink color combination. I think the appliqued letter just adds that little special touch to the quilts. Plus, the twins will know exactly which quilt is theirs. 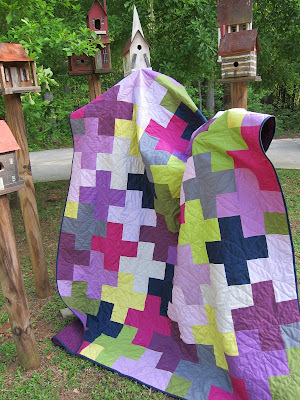 I'm going to quilt these myself so I'm pretty excited about that.